Be sure to check the Calendar for changes to regularly scheduled meetings. 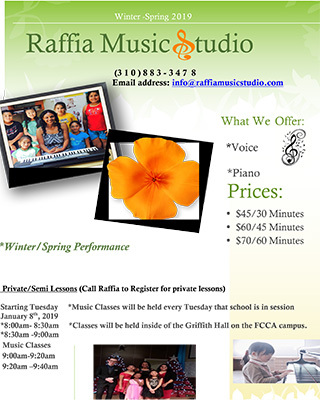 Raffia Music Studio will now be providing music classes on Tuesday mornings for the older Montessori school classrooms! The church and school have made these group classes possible free of charge to the parents. If any parents are interested in additional private lessons, they may pay an additional lesson fee and coordinate with Raffia Thomas via email at info@raffiamusicstudio.com. 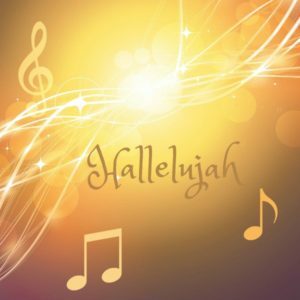 The students will perform a couple of performances each year in Sunday morning worship to share what they have been learning. We hope this is a wonderful opportunity for the children in the Montessori Academy of Anaheim! For more information please call Raffia Thomas at 310-883-3478 or email at: raffiamusic@gmail.com.